A Federal Aviation Administration advisory committee tasked with investigating the use of “micro” drones has released its final report, and it brings good news for people who dig small drones. The committee, which was comprised of aviation and drone industry representatives, recommended creating four categories for small drones based on their level of injury risk. The first includes virtually no restrictions for unmanned aircrafts weighing less than 250 grams, or about a half a pound. Small drones in the other three categories—those weighing more than 250 grams—would also be able to fly over people, but would see heavier restrictions on how close they could get. Manufacturers of drones in those categories would also need to prove that there was no risk of serious injury if they crash. How exactly they would be able to guarantee this isn’t clear. The FAA said today it would look over the recommendations of the report, which was originally released on April 1st. It noted it would use the guidelines to come up with “a flexible, performance-based proposed rule” that the public will supposedly get the chance to comment on. The recommendations come on the heels of another set of updates on drone rules, which require owners to register their flying gadgets with the FAA. 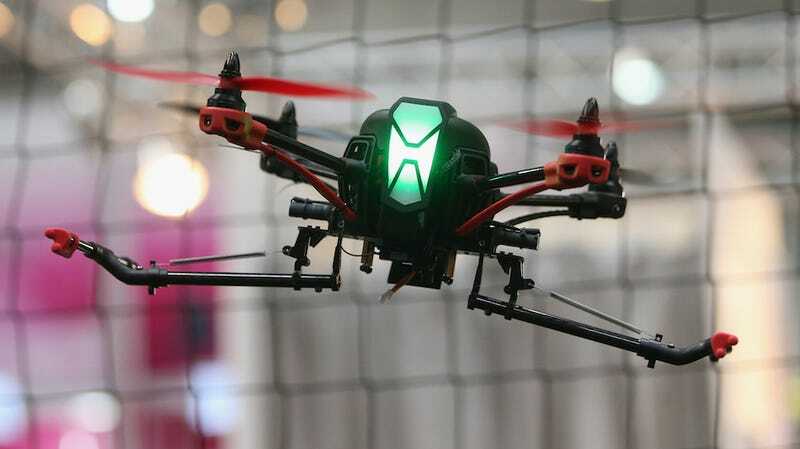 Those rules also came as a result of recommendations from an advisory committee, which means that the tiny drone guidelines may soon become the law of the land, too. Those requirements, however, do not apply for drones under 250 grams. When coupled with this latest report, it sure seems like teensy drone operators are free to fly under the radar! As for the practical implications, we may well be seeing itsy-bitsy drones buzzing around the skies this summer. That’s all good and fine, but it’d be even better if one of them could bring me a beer.